Tablet Allwinner 10 Recovery Bahasa Cina kadang susah untuk kita lakukan hard reset, karena menu recovery-nya berbahasa Cina, jadi agak sedikit mumet karena bahasa tidak bisa kita mengerti. 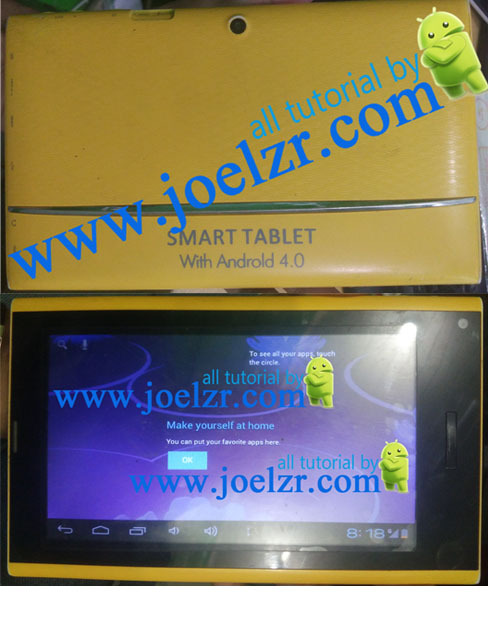 Bagi sobat tehnisi yang ingin melakukan hard reset, kebetulan saya sediakan tutorial cara hard reset tablet ala Malaysia disini, tentunya dengan gambar yang lengkap supaya sukses. Kasus yang saya alami kondisi hapenya bootloop, muncul android kemudian restart sendiri tanpa bisa masuk menu awal. Setelah menekan menu reset pada kolom merah (kiri bawah) maka otomatis hp akan melakukan restart, jadi ditunggu saja beberapa saat, dan hapenya siap digunakan. Terima kasih atas kunjungannya, salam tehnisi. In a way, it would be very surprising if a run-of-the-mill compass app was on this list. Well, it's not and this Android app is far more than a mere tool to tell you which way is north. To name a few of the features this app brings to the table will be enough to sell most on the idea that it's a practical. Handy app to have on their Android phone. Essentially this is a half compass, half GPS Android app. It tells you the direction, but it also tells you the speed at which you're traveling, the exact coordinates of your location and more things that can be used for fun or to potentially save your life if you're trapped somewhere. Do you want to send SMS and MMS messages through your Android phone? Don't get what I'm asking? More simply: do you text? If you do, you need to get Handcent SMS for Android. Basically, it takes your phone to entirely new level and texting dimension. Trust me, when you've used this app for a while, you'll wonder how you lived without it for so long! I really shouldn't have to say a single word about this app. I do feel it's necessary to say that it's the *Official Facebook App for Android*. Enough said! Perhaps one of the most hands-on free Android apps, Ringdroid allows you to edit various audio files so you can create your own ringtones and alarms. Tired of editing songs to create your own ringtone? Well, they've thought of that too! You can create ringtones for your Android phone from scratch as well (using the Ringdroid app on your phone). This Android app does exactly what it sounds like. It allows you to find the nearest gas station, shopping mall, shoe store, movie theater, or even a great place for a burger. It is simple to use yet very efficient and effective: a must-have Android application! Do you want to keep your phone looking new and fresh every so often? Get Backgrounds, one of the most popular free Android apps that has more than 10,000 wallpapers for free. With this app, your phone will never look drab again. Probably not the most useful on this list, but it's definitely one of the most interesting. The Google Sky Map is exactly that: a planetarium right inside your Android phone. What's more? No need to say more than it's a Google program! You wouldn't know it from this app's name, but Astro File Manager is among the top most popular free Android apps. It is a task manager and among Android's best one at that. You will be able to manage files, read and open.zip files, send files, backup applications and much more with this amazing app. Perhaps one of the most ingenious free Android apps on this list, this kafe code scanner app lets you access prices, reviews, and other related files by scanning the barcodes on various items in stores and elsewhere. Most importantly for Android phone users, it will easily decode the QR Codes attached to Android apps that you find all over many of the Android websites online. Just unduh this free app, click the icon and take a quick snapshot of an app's QR Code. Next thing you know, you'll be at the Android Market again, but this time at that app's gosip and page download ! Everyone loves music, well most of us love it. I'm guessing if you haven't heard of Shazam and what it does by now, you're probably part of the minority. If that's the case, this app will nearly instantly identify songs playing, even in noisy environments. That's the core of Shazam, but luckily for all of us, it's spawned into much more than that! You'll just have to download it (for free) to see all of the possibilities! Shopping is either pure bliss or torture depending on who you ask. Regardless of which end of the spectrum you are on, Android apps will help you save money and allow you to become a more efficient shopper (which I'm sure appeals to most of you). So what does that entail? It'll give the shopaholics more bang for their buck, which is never a bad thing. Perhaps even more importantly, these Android apps will provide shopaphobes what they really crave- less time in the stores! The pure power and functionality of these Android apps can really make shopping virtually an all new experience. No matter if these apps function as a shopping list, database, storefront or a supplemental knowledge source, they're all squarely aimed at one thing: if you use them, they will save you money! You're getting a feeling like Android shopping apps, in general, might just help you, right? 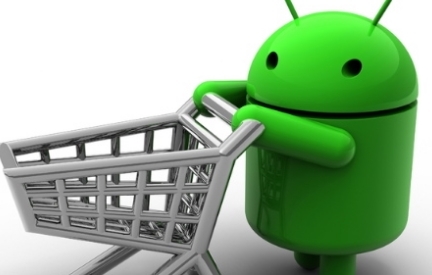 Well here are 10 Android apps that will save you money while they help you fulfill all your shopping needs and desires. Oh and did I mention that all these ten are completely FREE to download? Want to know more about an item you saw on the rack? Just use SnapTell to scan the barcode of any CD, DVD, book or video game and you will be able to get all the information you could possibly need. What type of information? Well, if you just want some more cursory information, that'll work. Most notably, if you want to see how the price stacks up to other distributors, it can do that for you in seconds. This app could be a big time money-saver for you if you take the time to use it before you make that next media purchase! This is a very handy app to consolidate all your clutter in your purse/wallet while ensuring that you don't lose valuable reward/loyalty cards. How does it work? All you do is take a snapshot of the barcode of your reward card (just about any decent sized company with a rewards acara is in the database- over 650 programs) and enter some basic information about the store. That's it; you're now ready to use your phone as your reward card at that store in the future by pulling up your reward information from that store on this Android app. It's probably not for non-techies or those who crave extreme simplicity. It is, however, a great idea and technology that will no doubt get crisper in the future. If you don't mind carrying all your reward cards and potentially losing one or two along the way (and having to suffer through the wait to replace the card), this free Android app sounds like a waste of time. But, if the extra inch of not-so-soft plastic padding for your rump (or the misuse of perfectly good purse space- not to mention the potential inability to use your chic tiny purse out shopping) isn't idyllic, this app is worth the few minutes to download and get everything set up properly. This is the perfect app for the happy, busy family of Android phone users. It allows the kids to endlessly add all their necessary foods. When the items are purchased, they can be removed from the list (on all the Android phones it's registered to) and then, 4 hours later, they can easily be added back onto the list! Joking aside, this is a great app to have for the new-age hyper busy, hyper tech families that want to become more efficient. Hey, it costs a lot of money to keep purchasing that extra loaf of bread that your husband/wife (or even you- thanks to that undecided hmmm, don't we need bread moment even though you just bought two loaves yesterday- yes you're not alone!) just picked up and will end up turning green before anyone has a chance to make a sandwich with it. To me, this app, fully named the OpenIntents Shopping list, is like the OurGroceries for the single folks out there. Not to say a family wouldn't benefit from this app, it just has more features and it's not a perfect fit like the other app is for families that need a simple solution to keep up on their latest shopping needs. That being said, this app is a powerful workhorse and can really end up saving you countless hours and some decent cash at year's end. This is one of the more useful free Android apps available and I'll be honest, it doesn't 100% fit with the theme of helping you save money while shopping. I could argue that it does, but for simplicity, I'll just use an old clich: Time is Money! Saving some time is just as good as saving cash on those busy days out and about. Having this app on your Android phone is like having 300 super-thick Yellowbooks from all over the US crammed into your back pocket. Not a bad thing if you travel a decent amount or enjoy living outside of your house. It's just a great resource to have on hand for those times when you need to find a business's number fast. This official app brings eBay to your Android phone. It's kind of crazy, but I think I like this UI better than the actual website on my computer. I don't know if that's a good thing or a bad. Nonetheless, it gives you an idea that this Android app was developed correctly and really hits the mark. That is, if you're an eBay fan; if you're not, sorry! Similar to eBay's Android app, this beauty from Amazon brings all the functionality from the full-sized website to your Android phone. It's amazing how seamless this transition appears for these giant resellers. This is a great thing for us though! The last of the GIANT resellers' Android apps on this list, I promise. Well, kind of: if you don't include Groupon in your list of "resellers", I haven't lied to you. So, if you've ever used Craigslist, you know how utterly important it is to check out a potential "killer item" within 5 minutes of it being posted and subsequently be the first handful of people to contact the seller to have any hopes of actually ending up with it in your possession. That being said, if you use Craigslist and you have an Android phone, YOU NEED THIS APP NOW! Haha, sorry to scream, but if you're going to use this portal of goodness with the hopes of eventually buying something you want/need, you have to have instant access to newly posted items. The only way to do that (I'm taking liberties assuming you aren't a recluse and on your home computer 24/7) is to have access "on-the-go" to instant notifications for your set of items that interest you and also a way to view them. This app performs both of these necessary actions and does them well. This is the official app from the immensely popular and rapidly growing Groupon website. This site has a "cult-like" following (not in a bad way!) which actually benefits its users. Essentially, the more people that use their services, the more offers are presented to the users and that helps all of us save a good amount of money! This free Android app ensures that you're never out of the "Groupon loop" and you'll have the opportunity to take advantage of the appealing offers wherever you may be. Another money-saving coupon app? Yes! That's all I can say- the prospects of saving a buck in this economy is a powerful force it seems. I'm almost a bit surprised at myself that I didn't completely inundate this "shopping list" with coupon apps (patting myself on the shoulder for spreading out the love). If only I could go back in time to 1989 and use this app instead of clipping 500-plus coupons from the Sunday paper (for my mom). Well those were good times- minus the paper cuts. There's only one free Android app that I would consider putting on this list. The reason is because it's probably the most important app for everyone to download today. I consider it more of a "mandatory app" than an Android shopping app and that's why it's here. The app I'm speaking of is the Barcode Scanner. Among other things, it allows you to browse the web on your computer and take a photo of the QR Code of an app you're interested in downloading. Once the code is processed (which takes very little time- talking seconds), the corresponding Android app's download page appears in the Google Marketplace! It's that simple and works like a charm once you get past the short "operator error" stage that plagues most of us. Do you wish to identify the real potential of your business? WHY NOT go for Android App Development, as from the beginning, android application development has encountered a deluge of apps submitted to the Google Play Store. In the recent years, Android apps became one of the most trusted and widely used apps across the globe as multitudes incorporate these applications for their distinctive business needs. The most recent studies and analysis have demonstrated that the interest of the business professionals in Android apps has expanded tremendously for fulfilling their various business needs, thus opening up a new business market. So, aside from the rise in the demand for Android phones, Android app development services has too gained importance. Stats show that today Android applications have covered around 75% of the total market share, thus causing an increase in the demand of android app developer and Android App development company as well to satisfy the growing business needs. IDC predicted an increase of 5% in an Android market share in its report submitted in the year 2013-14. But, even with an iOS applications advancement in the today's marketplace, the prediction seems to be true. Besides, the business now appears to be great, as it has officially settled its roots in tablets and PDA applications. Android, which is an open source mobile operating system has no or very fewer limitations, which is why developers now switch over the android apps development. For Entrepreneurship Android application development service is a Boon. Reasons for using Android App development environment. The principal reason behind the android applications success is their presence on Google play store, which is contemplated as the largest mobile app market in the technology world. Furthermore, Google Play store too faces a large volume of visitors for downloading various apps for different purposes. Thus, is a key reason for Android apps to have noteworthy reach than the other apps. The trouble free environment that Android offers is another reason that makes the custom apps development simple. Consequently, it too offers the quality check functionality before submitting it to the App store for business downloads. The regular updates is an another facility that Google Play Store offers to the downloaders of the app, thus a reason why they are accredited in the marketplace by analysts, marketing professionals, and business owners. The aforementioned points are some reasons why Android has established itself as the most well-known application development platform. With the help of the Android Software Development Kit (SDK), the dedicated Android app developers can design their apps and even submit them to the Google Play Store. The vast assortment of libraries on Android is the reason these developers can easily develop whatever they feel. The age of the Android phone is fast dawning... and most of the applications are freely available, finally some decent ammo to wipe the smug smile on the face of his iFriends. Android phones have feature-rich applications that are not included in other mobile phones, and are ready to take on the market. The best part of Android is that you have a number of options with you, and not only some of them. An interesting feature of the Android phones that offer multiple levels of volume for the various functions of the phone. something more intelligent and competent. What do you need from your phone. It's a good question to consider when it comes to mobile phone users is for an update. Originally, the sole purpose of owning a mobile phone was. Since the cell phone tour, people began to want to take Photos, text messages, listen to music and Internet access. You can do all this and much more if you choose a smartphone. Now you can play Games on their mobile phone, weather and a series of activities, and make calls. Before selecting one of the Android phones it should be considered what basically you are looking out in a phone. If you are considering buying a new phone, here are some of the best options to Android phones. Best Android phones are as good as the other Smartphones on the market. The reason is that several mobile phone manufacturers have adopted the Android operating system on their phones. It is possible not noticed, but the fact is that Google's Android phones are all over the cell phone market. As one of the best phones available with Android, the HTC Hero has made a lot of hype. This entry is made for the price conscious buyer who wants all mobile the perks an Android phone do not pay dollars more. Another option for mobile phones running the Android software is BETouch Acer E400. 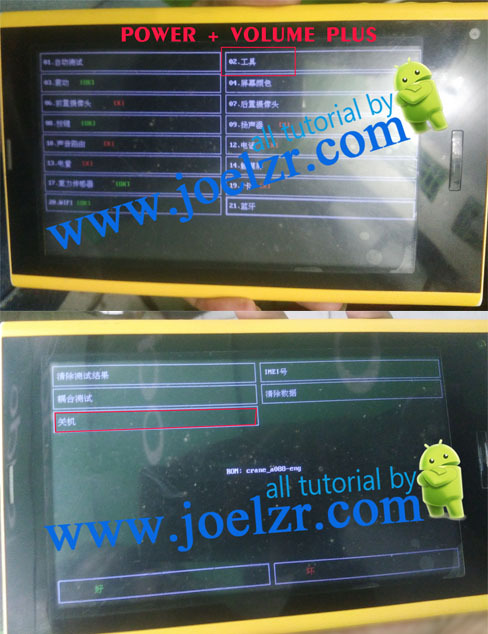 The company Acer install its own user interface connected to the system and also installed GPS Android, 600 MHz processor and Wi-Fi. A Android phones on the market first is the LG MaxGW620 InTouch. This phone is powererd from Android 2. It is a business, while Android kicks WIN mobile in the teeth, &, a division of the open mobile advertising if a viable business because it can not expect Google stores Gettig in a search application in all places and from any phone. One of them is the Google marketplace where thousands of applications for mobile running the operating system Android than T-Mobile G1 and the myTouch T-Mobile with Google. Android users are waiting months after the first announcement to receive Pandora Mobile App for Android. In fact, many people complain that there is absolutely no competition for Android phones in the mobile Market. An important aspect of owning a mobile phone is Android Marketplace mobile applications, with thousands of requests to choose. If you are a parent, and are concerned and monitor the activities of your children, to protect cell phones and other sexting Mobi dangers stealth, then parental control software is for you. The launch of Android, the Google mobile operating system in virtually all areas of the market as "beginner is published up to and including the super-power Smartphones. Since Android has increased, has the Google mobile operating system used in virtually all market segments appear, including high beginners and the end Phones. Look at it, the Android phones can now be purchased almost everywhere. As Android, the mobile operating system designed by Google appeared in almost every conceivable niche, from "Rookie" to and including the super-smart phones. The Rough Guide Slick bag Phone reveals the secrets of this operating system back and forth, including models from Motorola, HTC, Samsung and many others. It is only by tradition, Android phone makes Skype instant messaging, voice and video calls worldwide via Skype. I love all the functions of Android, but UMA only tops, especially when I get home, I get off the frequency with which T-Mobile does not penetrate the walls of the building may have. In addition to technical issues, Google has many areas that prior to any serious threat to address, as a substitute for a weight providing music Android iTunes smartphone battle. 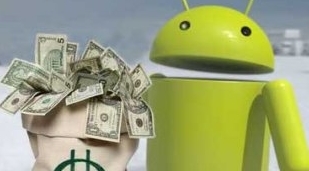 However, since the reach of Google Android as a free open-source operating system that reduces the value of acquisitions Palm Goal. I've never used an Android phone, and I have heard bad things about it, like Google uses the data for advertising, but I think it's a step towards a universal platform for open-source smartphone. The idea that Google will experience the same phenomenon in the store request U.S. dollars ridiculous. The iPhone uses a lot of Google applications and search in Google there is no difference in their pursuit of your surfing habits. The only way to compete with Apple continues to reinvent the phone... to come rather than an incorrect version of the iPhone is slightly up in the same family (the Android and it is in essence), Google, that should come with a feature that everyone that enough to leave their iPhone for. Apple basically skimming the high-margin customers with valuable, Blackberry is still very popular in the society (and blackberry sell more servers, the real interest) and Android, will take over the rest of the smartphone market at $49 - remember that Google gets nothing for all sold Android now and Apple earns $200 - $300 for each iPhone sold without iTunes... that's the difference. While developing mobile apps, businesses sasaran Android due to its massive worldwide mobile operating system market share. Alphabet has made Android available as an open source mobile platform. Also, it updates the mobile operating system at regular intervals with new features and enhancements. But the penetration rate of individual versions of the mobile operating system differs. Alphabet does not regulate the Android smartphones, tablets, and phablets manufactured by various companies. Hence, the devices manufactured by different companies come with varying hardware features despite being powered by the same version of Android. That is why; it becomes essential for developers build mobile apps by targeting a wide range of devices powered by different versions of Android. While planning, developing, and testing the mobile app, they need to focus extensively on its accessibility, functionality, performance, usability, and security of the mobile app to keep the users engaged regardless of their choice of Android device. Also, they need to explore ways to make the app deliver personalized user experience across varying devices and operating system version. They further need to address a number of common challenges to develop a robust Android app. As mentioned earlier, the market share of individual versions of Android differs. According to the latest data released by Google, the most recent version of its mobile operating system - Nougat - has a market share lower than its predecessors - Marshmallow, Lollipop and KitKat. Each new version of Android comes with several new features and enhancements. The developers have to include specific features in the app to make it deliver optimal user experience by taking advantage of these new features. At the same time, they also need to ensure that the app delivers rich and personalized user experience on devices powered by older versions of Android. 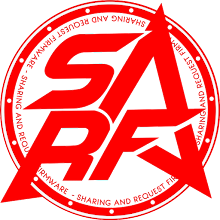 The developers have to sasaran multiple versions of Android to make the application popular and profitable in the short run. Unlike other mobile operating systems, Android is open source. Alphabet allows device manufacturers to customize its operating system according to their specific needs. Also, it does not regulate the Android devices launched by various manufacturers. Hence, the devices come with varying hardware features despite being powered by the same version of Android. For instance, two devices powered by Android Nougat may differ from each other in the category of display screen size, resolution, camera and other hardware features. While developing an Android app, the developers need to ensure that it delivers personalized experience to each user by accessing all hardware features of his device. Google has not released any common user interface (UI) designing process or rules for the mobile app developers. Hence, most developers build Android apps without following any standard UI development process or rules. When the developers create custom UI interfaces in their own way, the apps do not look or function consistently across different devices. The incompatibility and diversity of the UI affects the user experience delivered by the Android app directly. The smart developers opt for responsive layout to keep the UI consistent across many devices. Also, the developers have to test the UI of their mobile app comprehensively by combining both real devices and emulators. But often developers find it daunting to design a UI that make the app look consistent across various Android devices. Most developers use third-party APIs to enhance the mobile app's functionality and interoperability. But the quality of third-party APIs available for Android app developers differs. Some APIs are designed for a particular version of Android. Hence, these APIs do not work on devices powered by different versions of the mobile operating system. The developers have to explore ways to make a single API work on different versions of Android. But they often find it challenging to make the app work smoothly on different Android devices with the same set of APIs. 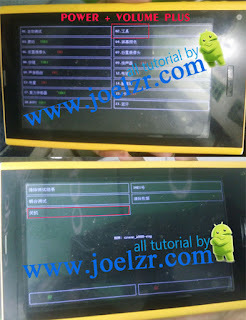 Its open source nature makes it easier for device manufacturers to customize Android according to their specific needs. But the openness and its massive market share made Android vulnerable to frequent security attacks. There are many instances when security of millions of Android devices has been impacted by security flaws or bugs like Stagefright, 'Certifi-gate' mRST, FakeID, Installer Hijacking and TowelRoot. The developers have to include robust security features in the application and use latest encryption mechanism to keep the user information secure despite targeted security attacks and security flaws in Android. The latest data posted on various website depict that Google Play Store has a much higher number of mobile apps than Apple App Store. Also, a large percentage of Android device users prefer free apps to paid apps. Hence, the developers have to promote their mobile apps aggressively to accomplish higher unduh numbers and implement app monetization options. They also need to implement a comprehensive digital marketing strategy to promote the app by targeting the most relevant users. Many developers have to avail the services of digital marketing professionals to promote their apps aggressively. The users have option to choose from several Android apps offering identical features and functionalities. But developers often find it daunting to build apps with unique features and functionality. They often include features and functionalities in the app that make it similar to a number of apps available in the same category in the Play store. Unlike Apple, Google does not implement stringent guidelines to evaluate the quality of new apps being submitted to its app store. Lack of standardized quality assessment guidelines often make developers address issues related to patent. Some developers have to design and modify their apps in future to avoid patent issues. How do you make a decision on the best phone for you? With such a huge variety of cell phones to choose from it is really hard to make a decision. The Google phones have recently become incredibly popular, thanks to Google's Android operating system. Several cell phone producers are incorporating the Android operating system into their cell phones. Here are some of the top Android phones on the market today.These days, most people have a cell phone. Even people who swore that they would never ever find a cell phone useful have acquiesced to the convenience of mobile phones and technology. What other way would you explain the demam isu of the pay as you go cell phone? One of the most popular cell phones models available on the market is Google's Android phone. Among the top Android phones is the Acer BeTouch E110. This is only one of the Acer BeTouch phones out on the market. The E110 is a smart phone running with the Android 1.5 software set. It is not the latest edition from Acer's technology, but the BeTouch E110 is capable of almost everything the other smart phones are. Acer has their own interface that assists users in operating their phones. This phone has a little touch screen that is powered by a 416 MHz processor. The touch screen is less than three inches in size! The touch screen is not even three inches large!The Motorola Quench is one of the top Android phones. The Quench, a later model of Motorola has been enhanced with the Android operating system. This phone is one of eight Motorola models that uses the Android system. The phone has a screen that is only slightly larger than three inches, however the screen has high definition (320 x 480). This phone uses Motoblur technology, which will allow social networking users a better experience. It uses the Android 1.5 operating system and offers Wi-Fi capability, GPS, a camera that is five megapixels and several apps the user will absolutely adore.The Sony Ericsson Xperia X10 Mini is one of the most highly respected Android phones on the market. This phone is built on a slightly different model with no name change. The mini is basically the more compact version of the phone that it is modeled after. This phone works with Google's Android 1.6 operating system and is paired with the UX interface by Ericsson. The touch screen is only two and a half inches large and the phone doesn't even weigh 100 grams. Even though it is small, it packs quite a punch. The phones comes with a camera that is five megapixels, along with a 3.5mm headphone jack that makes it possible to listen to music already on your phone.The HTC Legend is very popular. Its rating on the website Know Your Mobile dot com was number one. The HTC Legend is not the first Android phone but is rather high in demand. This might have to do with the conjunction between the HTC user interface and the Android 2.1 operating system. The screen is a touch screen and is a hair larger than three inches in size. One of its most popular features is the control it offers. It is likened to a track pad or joystick style of control. Also, it has Wi-Fi capability and GPS. On the market today, the LG InTouch Max GW620 is among the top rated Android phones. Many consumers who purchase this phone tell everyone they know. They insist that the phone is almost perfect. It features a great five megapixel digital camera and purchasers rave about how simple the interface is to use. You can talk for eight hours before you need to start thinking about the battery. This is the phone for someone who enjoys making phone calls and is appreciative of being able to access things are only available on smart phones. Our only complaint is the cost. It is fairly expensive. One Motorola phone that functions with the Android operating system is the Motorola Cliq. This phone is for sale thought T-Mobile. It has a keyboard that slides out. One of the things that makes this phone so popular is that it allows the user to keep long logs of e-mails, text messages and social networking updates. You can utilize this phone for keeping your Twitter and Facebook pages up-to-date. You are able to remotely access the data on the phone. One highly favored Android phone is the HTC Desire. The Nexus One handset, produced by Google, is available with this Android phone. In fact, the HTC Desire is pretty much an enhancement of its original model. It has a display screen that is nearly four inches big and uses an Amoled WVGA display. It utilizes a snapdragon processor that functions on the Android 2.1 operating system. Also, this phone manipulates the use of Adobe Flash (v. 10.1). The screen is a touch screen and utilizes joystick and track pad technology to aid the user in operating the system.Being one of the top Android phones available, the HTC Hero has gotten a lot of hype. Using the user interface is simple. It has a smooth exterior and is able to do just about everything the other smart phones can do With an ability to access the Internet, make phone calls, and snap photos, this phone is the bomb. A major duduk perkara with this phone is the size, as it is quite difficult to put the phone in your pocket without a major bulge showing in your pants pocket. Also, it does not run the latest version of the android Operation system. Still, it is a good phone and well worth the asking price. It has a Snapdragon processor. The screen is three and a half inches big and uses touch screen technology. This phone is multi-faceted with Wi-Fi capability, GPS, a 5-megapixel camera, standard 3.5mm headphone jack for listening to music, as well as plugging in an earpiece and microphone to give you the freedom of making hand free cell phone calls.An Android phone receiving rave reviews is the Samsung Beam i8520. The phone uses Android technology for its operating system and it features a pico projector. This means that the phone user can use his phone to project pretty much anything in his phone onto a wall. It makes bringing a portable projector a simple convenience. Furthermore, it has smart phone technology inside - the previously mentioned Android operating system and the Touch Wiz skin, which was designed by Samsung. This phone comes with an 8-megapixel camera, which makes it even better than other handheld digital cameras!An Android phone designed specifically for the budget conscious consumer is the Samsung Galaxy portal. The camera is a minimal three megapixel digital camera, but other than that it is a great phone - especially for the price. The capabilities of this phone include video, Bluetooth and Wi-Fi. The phone has about seven hours worth of talk time. It has a rather bulky build, but if you want a smart phone at an excellent price, this one is for you. When upgrading time rolls around, some cell phone companies offer the phone for free to their customers. Google came up with the Android system and it is making it possible for cell phone manufactures to compete the iPhone from Apple. Noticeably, the Android is a big time competitor with Apple and has now allowed other cell phone companies an opportunity to provide comparable smart phones to people who want to upgrade from their current phone to something more wise and cultivated. In actuality, cell phones are no longer used solely for making calls. Now they allow you to snap photos, play your tunes and connect to the Internet. If you desire an upgrade for you're cell phone but are uncertain if the iPhone is suited for you, the Android powered phone is a viable alternative. When it comes time to make a decision about one of the top Android phones, it is smart to consider what you'll be using your cell phone for. If your main goal is being able to make phone calls, you probably don't need a phone with so many bells and whistles. If, however, your goal is to utilize your phone for mobile entertainment and contacts, you'll need smart phone technology to stay in the know with your family, friends and hobbies. Think about your choice! A complete and harmonious combination of two substances can create a complete and beautiful result. In like manner, the natural sweetness of Android 3.0 Honeycomb and the crispy layers of Android 2.3 Gingerbread have resulted in a new, tastier treat for Android smartphones and Android tablets--Android 4.0 Ice Cream Sandwich. Google has been aiming to unite the multiple Android versions into just one version so that one and only one Android runs on whatever device--be it an Android smartphone, Android tablet, Android portable media player, Android TV, Android watch, or wherever else the little green robot can make waves. What glad tidings does Android 4.0 Ice Cream Sandwich (ICS) bring to its users? What better experiences can we expect from it? Read on to know more about how Android 4.0 Ice Cream Sandwich is being true to Google's description of it: "the best Android we've ever made yet." Android 4.0 includes a virtual button that allows you to browse and instantly switch to apps you recently used. The list displays thumbnail images of apps--instead of just icons--so you can see which part of the apps are currently working in the background. And, if you want to throw away or discard an item on the list, simply flick the thumbnail in order to remove it from the list. There are many instances in which you'd like to share to others what is currently displayed on your screen. There are also times when you just need to save a screenshot for later use. In previous versions of Android, you could take screenshots by installing apps for that purpose. In Android 4.0, it's a built-in feature. By holding the Power and Volume Down buttons together, your Android smartphone lets you capture screen images instantly. There are several improvements that Google has done to the Notification Bar in Android 4.0. For instance, it can now be pulled down from the Lock Screen. Another is that you can discard items from the list of notifications by simply flicking an item to the right. This means that you can remove items on the Notification Bar one by one. In previous versions of Android, it's either you clear all notifications with one tap or you leave all of them untouched. The Notification Bar no longer shows a grid layout of recently used apps. Instead, in Ice Cream Sandwich, those apps are shown as a vertical-scrolling strip of app thumbnails. You can also directly control music playback right on the Notification Bar. The stock keyboard in Android 4.0 has been given more love. It is now faster and more responsive compared to previous versions of Android. The suggestion strip is more accurate now and also includes an in-line spell checker. With one tap, you can select suggested words or add new words to the dictionary. Copy-and-paste functionality has also been made easier. Just tap and hold down on the selected word, and drag the handles to highlight the selected words. Then you can select "Copy and Paste" from the popup menu, or simply drag the highlighted chunk of text to wherever you wish to insert it. Google has also incorporated voice-to-text input in Ice Cream Sandwich. Just speak, and the phone converts your spoken words into text. It's a great way to easily and effortlessly "type" text. With Ice Cream Sandwich, voice input is more accurate and can also translate expressions into symbols. It also accounts for pauses, so you don't have to press anything while thinking of an appropriate response. Say goodbye to passwords, PIN codes, and patterns. Android 4.0 Ice Cream Sandwich has personalized phone unlocking much further. With the new Face Unlock feature, an Android smartphone or Android tablet can now recognize the face of its owner. Just by focusing your face clearly on the secondary front-facing camera of your device, you can unlock your phone instantly. No typing needed. No need to remember passwords. Just look into the camera and let the device recognize you. Android 4.0 Ice Cream Sandwich also includes a new graphical display of the data your Android phone is using. You can set warnings for exceeding data usage limits, as well as set how much background data each app can use. Users can have more control over their Android device with this neat option in ICS. Android 4.0 also comes with improved apps, which can be categorized into three: the core apps (i.e., Google mobile apps such as Android Browser, Gmail, and Calendar), Photos, and People. Support for Near Field Communication (NFC) is baked into Android 4.0, and Google has made sure that Ice Cream Sandwich has a ready app to leverage the technology. Called Android Beam, the app revolutionizes the way that people share files and data among one another. With NFC and Android Beam, one can send a file to another user simply by bringing two Android phones close to each other and tapping the phones against each other. Any file can be shared in this manner--photos, documents, maps, apps, bookmarks, and so on. Android 4.0 Ice Cream Sandwich surely packs a fresh new look and exciting new features that will truly make your device perform better as a smartphone. With Android 4.0 Ice Cream Sandwich soon replacing the older versions of Android on recent Android smartphones, these new features will eventually start a new wave of more convenient and more efficient use of Android smartphones and Android tablets.